Used this for a birthday party, it was excellent. Not too pricey either. Tastes great. This user was entered into a sweepstakes after submitting their honest review. 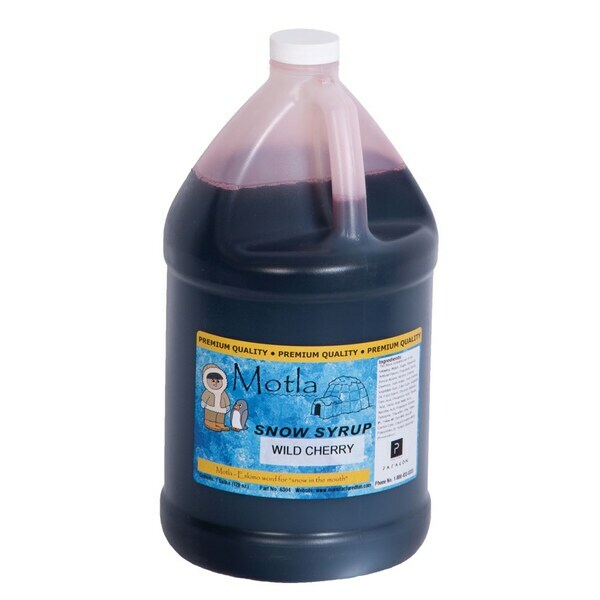 This gallon of Wild Cherry flavored ready to use shaved ice/snow cone syrup is made with the finest ingredients in order to provide you the truest, most mouth-watering flavors. No mixing and no mess, this syrup comes ready to use. Just open the bottle to dispense delicious syrup. Used this for a birthday party, it was excellent. Not too pricey either. Tastes great. It has saccarine in it. It has a bitter after taste. I would not recommend this product.